The basking shark, with its five foot jaw, is one of the most ferocious looking critters that ever swam the sea. However, it's pretty much harmless, just filtering out tiny bits and leaving idle dippers and their water wings alone. This is what served as the inspiration for Anthony Reale, who turned that gaping maw into Strait Power. 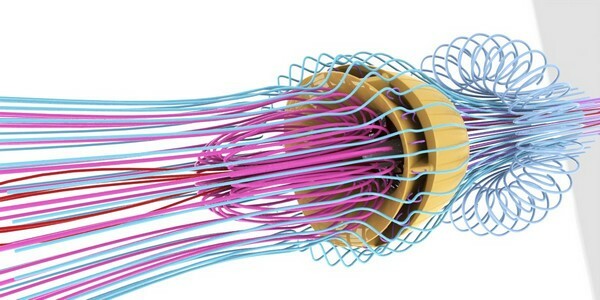 It's effectively a double-nozzle that fits around a hydro turbine or two, turning the flow of water into electrical power, boosting the efficiency of the turbine by creating areas of high pressure ahead and low pressure behind, as visualized above. The result was a 40 percent boost in efficiency -- and some soggy jeans, as you can see in the videos below. The first gives a quick overview, the second an uber-detailed discussion of the development from start to finish. Choose your path. Strait Power turbine is water-powered, shark-inspired (video) originally appeared on Engadget on Sat, 15 Jan 2011 01:36:00 EDT. Please see our terms for use of feeds.